Play Theory: This play is designed for yard after catch. Red runs a square in (4 route). The pitch will be made to the Blue receiver coming from the opposite side. 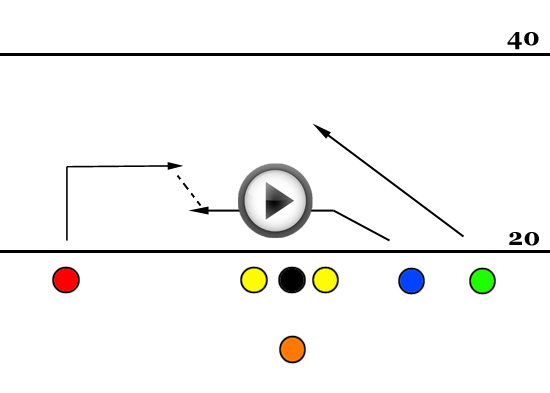 Due to the length of Blue’s route, timing this play can be easier. The goal of Green’s route is to occupy both safeties. 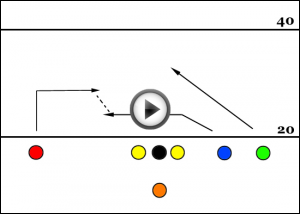 Play Variation: Green can shift to the same side as Red and run a streak or a post.